Some of us are controls freaks - we want total control over what adjustments are made to our systems, and to have the ability to tweak each setting until we have what we feel is the perfect solution. Others are more practical, and just want good results with a minimum amount of time or effort. Which approach is right? Both of course, and that's why it's nice to have options. If you're the “get it done quickly” type, the Spyder 3 Express is the way to go. Inexpensive and reliable, you don't need to know any of the how or why involved with color calibration. 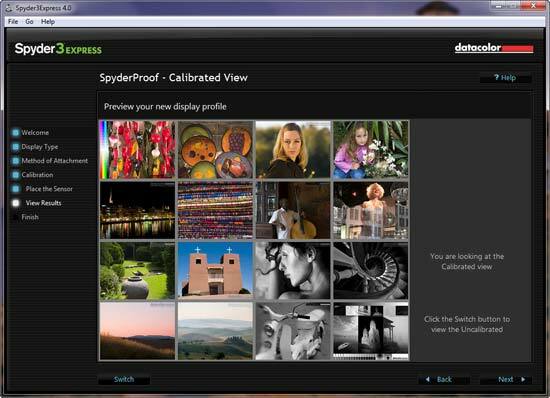 The Spyder 3 Express is the latest incarnation of Datacolor's monitor calibration hardware. 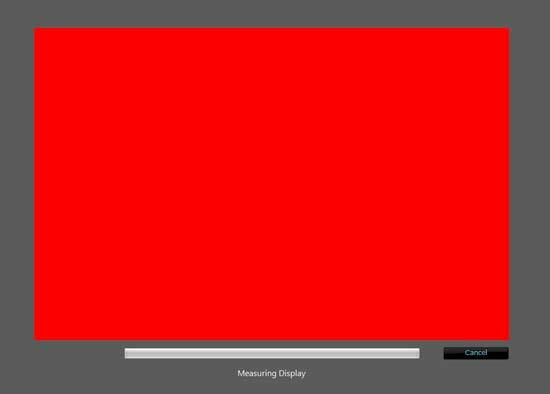 It does one thing - calibrate your display, and does it well. 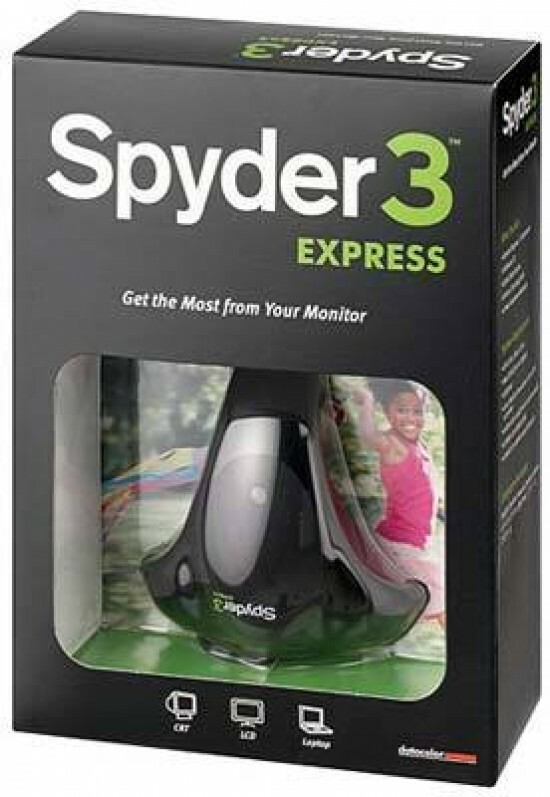 The Spyder 3 Express is the most basic of the monitor calibration choices offered by Datacolor. Also available is the Spyder 3 Pro, and Spyder 3 Elite (the Elite is included with the Studio SR package). A significant upgrade from the previous Spyder 2, the new model is both faster at calibrating and more accurate. At only $89 it's a cost effective way to improve your imaging quality, particularly if you print or share images online - you know in advance what the image will look like. Using the Spyder 3 Express really couldn't be easier. Install the software on your Windows or Mac system, and connect the Spyder 3 by plugging in the device to an available USB port. I used Windows 7 64-bit for this review, but the process is the same on both operating systems. The installer will place a shortcut onto the task bar (Windows) or menu bar (Mac), making it easy to launch and use the software. 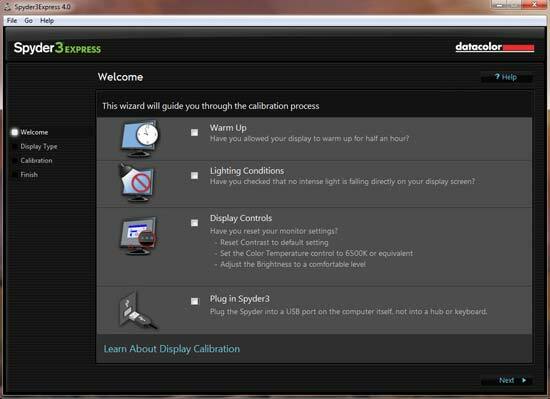 The first screen (Figure 1) asks you to verify a few options, including monitor warm-up time (ideally, you should have your monitor on for at least 1/2 hour to stabilize prior to calibrating the display), the lighting conditions (try to calibrate in the lighting conditions you normally work in), and whether the monitor settings have been set appropriately. 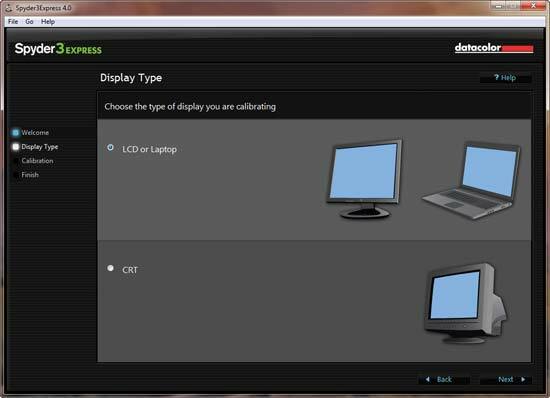 The only other decision you need to make is selecting the appropriate monitor type - LCD/Laptop or CRT (Figure 2). Once you click next, the software will show you where to place the Spyder 3 on the screen (Figure 3), and then begin the measuring process (Figure 4). Measuring the color patches takes about five minutes - faster than the previous version by about 30%. Although you don't have options for different settings during the calibration, the Spyder 3 Express uses the standard settings for photography work - a Gamma of 2.2 with a white point of 6500K. These will give you the best results when editing digital photos. Once completed, the software shows you a screen with the adjusted settings. By clicking on the Switch button, you can quickly compare the before and after settings. I calibrated my display initially with a Spyder 2 to see how much difference there was between the two devices. As you can see in Figures 5 and 6, the Spyder 3 rendered a warmer tone with better shadow detail than the older device. Because monitors change over time, just calibrating and forgetting isn't the best way to ensure consistent results. Spyder 3 Express helps here with a automatic recalibration. Selecting Preferences from the software (Figure 7) will let you set how often you should be reminded to recalibrate your display. So, you might be wondering, if the Spyder 3 Express does such a good job, why would I want to spend more for the Pro or Elite models. Along with those tweaking comments made earlier, the more advanced models add the ability to calibrate multiple displays and perform ambient light measurements that will automatically adjust your display when changes in lighting are detected. For many people, the extra features in the more expensive packages will be unused. And, since cost is almost always a factor, especially these days, why pay for it if you don't need it?